Instead of making levels with friends, I recently decided to try playing alone and designing my own level. This is Sinister Den! It’s really not so sinister, but I have realized I like lots of jumping and bouncing at the beginning of levels apparently. And don’t worry, this bouncy part is only one section. Be careful not to kill friends. Also, remember that coins can help guide you. There are no traps in the level. Trust the coins. 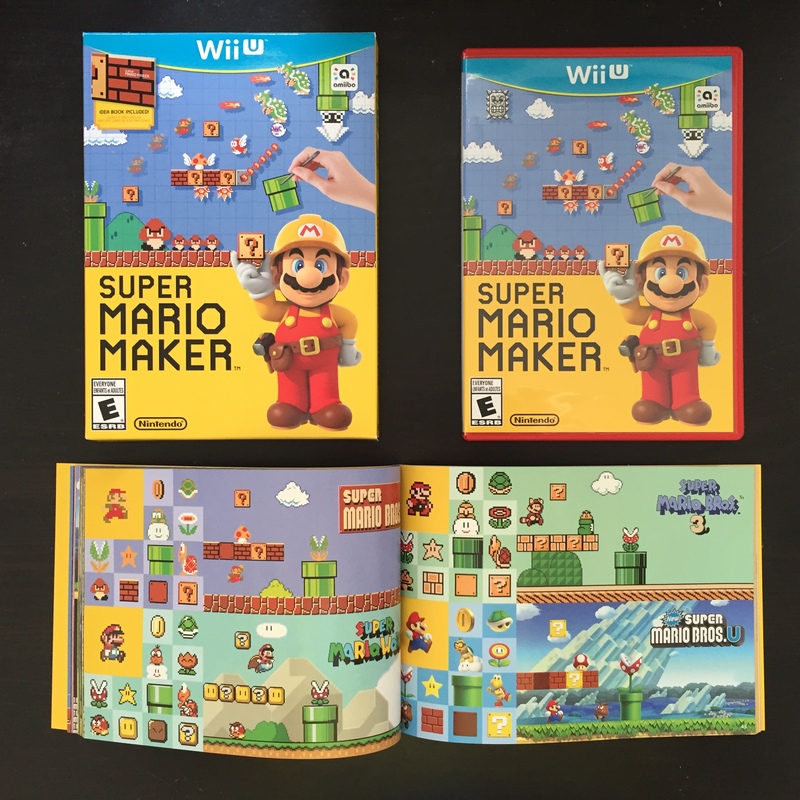 Super Mario Maker was released Friday. As the release date approached, I really thought I could resist. I know I just don’t care to devote as much time to playing games as I once did, but I cracked pretty quickly on Friday and bought a copy. Even if I barely play it, it’s more than just a game. It’s a celebration of 30 years of Mario and the culture surrounding those games. I see it primarily as a social tool, so I designed my first level with friends. Here’s Anela, gem, and Antonio working on our level. We each took turns adding to it. The joy of Nintendo is how it brings people together and creates such rich culture around their properties. 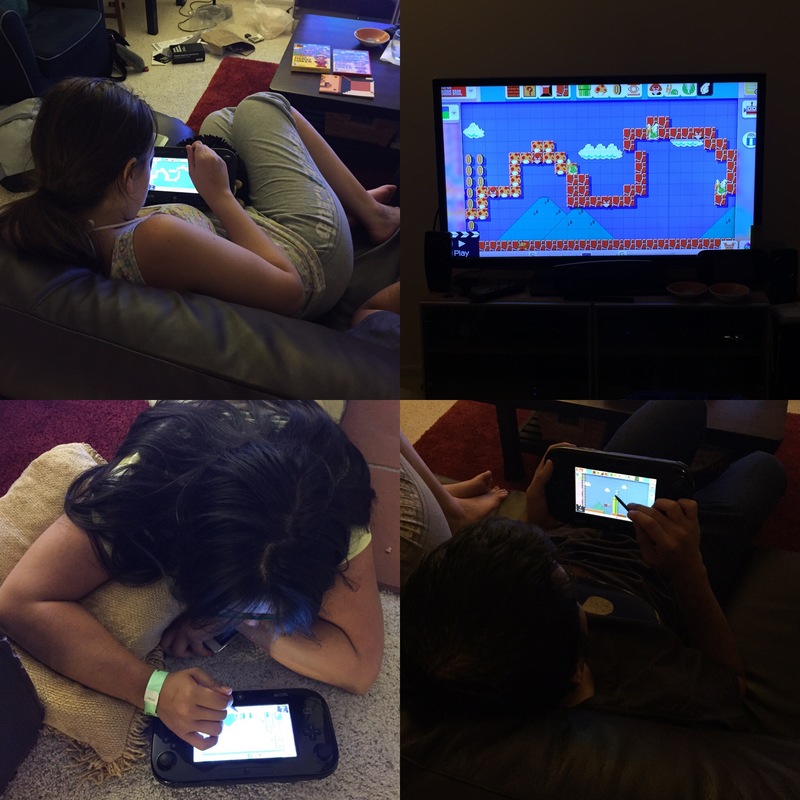 I knew gem would have fun with Super Mario Maker because we played it at SDCC this year, but what about Anela and Antonio? At least Antonio plays games and owns consoles, but I wasn’t confident Anela would have fun. However, they both did. Anela went crazy adding as many mushrooms as she could to her part of the level and then insisted I get those mushrooms when I played. Antonio and gem both set up traps in attempts to trick the players. There was a lot of laughter, so I think everybody had a great time. We’ve also been playing Super Mario 3D World. 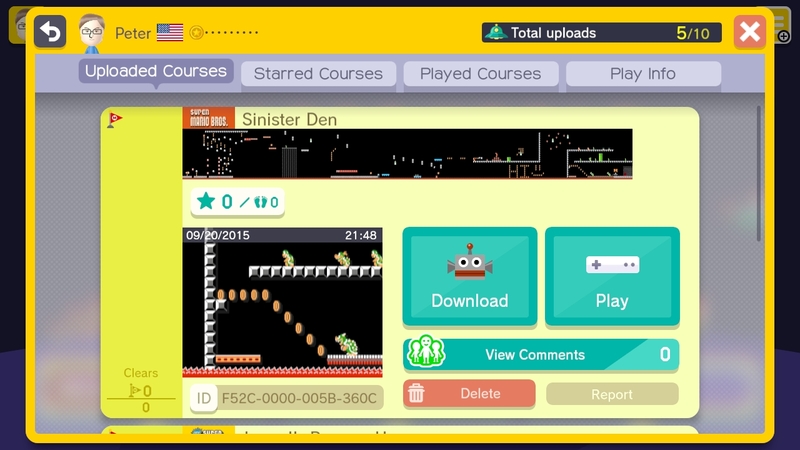 Like Super Mario Maker, even those who don’t play games often have had fun with it. Sure, Anela requests that we carry her through some parts, but she has as much fun, if not more, as the rest of us! Nintendo’s amazing at making their games accessible and enjoyable to people who don’t play games often. Here’s our masterpiece – “Super cool friends Petanegemio.” It’s a majestic level! Okay, maybe not majestic, but I’ve played it a couple times, and I have fun when I do. 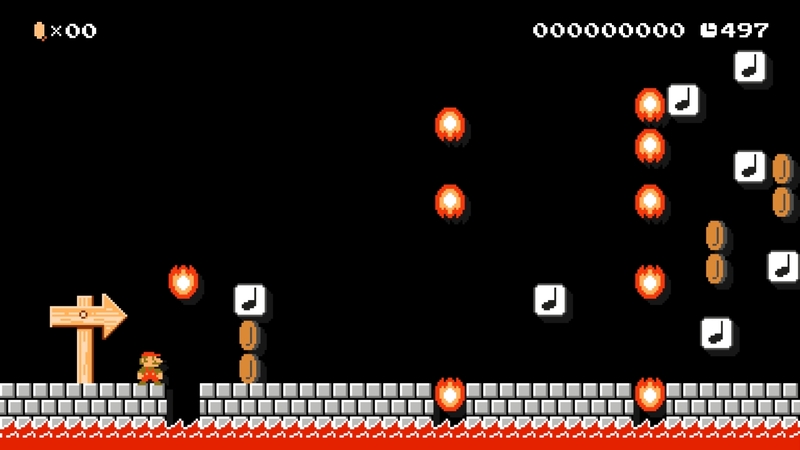 Better than just enjoying some random Mario level, this one reminds me of my friends – Anela’s mushroom block maze, gem’s Money Zone of coins and trap (in which I totally fall in that video), and Antonio’s journey into the sky and trap (that I managed to avoid). It’s a masterpiece, at least to me. “Mario Myths with Mr Miyamoto” helped push me into purchasing it. It’s such a simple video, but it helps accentuate the beauty of Nintendo and their games. It made me tear up just a little, especially the idea that it’s been 30 years since Super Mario Bros. Oh, and that hard hat Mario wears for Super Mario Maker. It’s so cute and representative of the game that’s a perfectly designed icon. Super Mario Maker (and Super Mario 3D World and so many other Nintendo properties) are really works of art, beautifully created to bring people together accompanied by a soundtrack of their own laughter. Thank you for the fun times Nintendo, Miyamoto, and all my friends who have played Mario with me! Note: This review was originally posted at Game Boyz. Flying over Stormwind on Azeroth, piloting a Jaeger, running with dinosaurs, and tearing off the headset after getting scared are all new experiences I had with the Immerse Virtual Reality Headset. This headset uses your smartphone and side-by-side video to show 3D content. While there are some imperfections, it delivers a fun experience limited primarily by what 3D content is available. After playing with it for a week, I’m very excited for the future of VR. First, let’s look at the headset itself. The main body is plastic with a door that flips down. Inside is a bracket in which I placed my iPhone 6 before snapping it closed. There’s a small hole on the side so I can connect headphones, a strap to fit around my head, and foam where it fits against my face. The eyepieces can be adjusted left and right as well as forward and backward. 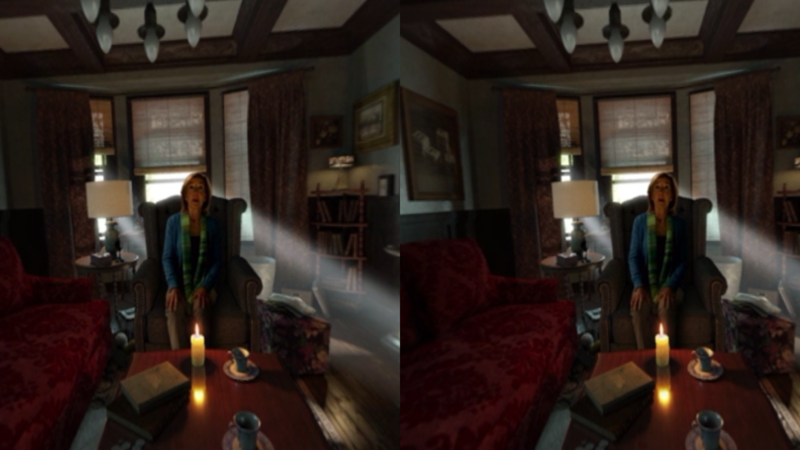 The 3D effect is generated due to half of the split screen video being shown to each eye. There’s a plastic divider that blocks the left eye from viewing the right side of the screen and vice versa. The slightly different angle in each half of the video is combined to create the 3D effect. It’s fairly comfortable, but there are a few limitations due to the nature of the device. First, I’m unable to use my glasses in the headset. Luckily my eyesight isn’t too bad, so I could still enjoy it. I can’t say whether that’s good for my vision though, and I suspect it isn’t. Second, the screen divider didn’t quite touch the screen. This allowed each eye to get a slight peak at a sliver of the opposite side. When viewing 3D content, this creates a small, vertical strip on the very left and very right of your vision that’s incorrect. In addition, the quality of the image is limited by the resolution of your phone. Lastly, I wasn’t so sure about aspect ratios. When I viewed side-by-side 3D YouTube videos, the video itself is widescreen but split into two halves. Each of those halves is then not a normal video aspect ratio. While some videos still looked fine, some were obviously stretched. I started my exploration by looking for 3D content on YouTube. This was accomplished by searching for “side-by-side 3D” or “sbs 3D.” A nice proof-of-concept was “World’s BesT SBS 3D POP OUT EffecTs EVER” that was filled with 3D effects. There were also a variety of trailers and even music videos. Unfortunately, there wasn’t really a large catalog of 3D videos that were more than what I’d consider proofs-of-concept. Netflix does apparently have 3D content, at least from what I could tell doing a bit of research, but it doesn’t look like the iOS app is aware that someone could be using a device like this one. There was no 3D content on the Netflix iOS app. There are other choices for streaming video though, and pretty much every site had some appropriate videos. Of course, you can also just put your own videos on your phone. I was able to watch my own side-by-side 3D video files, and that was pretty cool! I just hope in the future that Netflix gives me the ability to watch them. This is where I get most excited. These are all basically interactive films. Unlike the 3D video I discussed above in which the 3D consists of effects that seem to pop out, these videos allow you to look around by turning your head. It’s really cool. 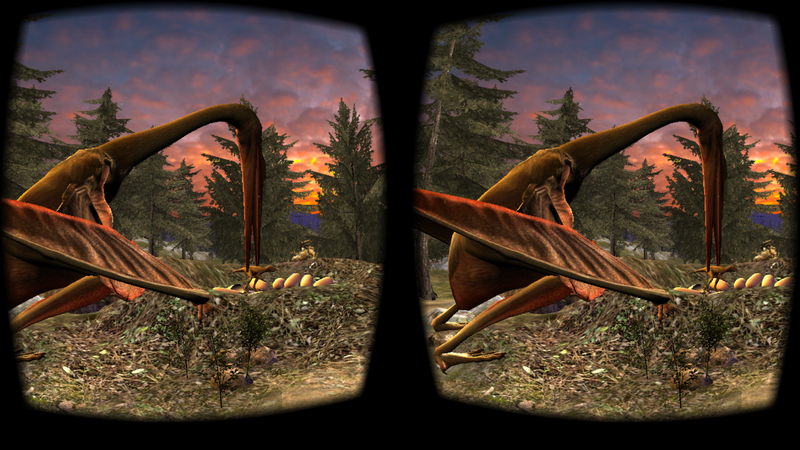 First, there’s DinoTrek VR Experience. In this experience, you’re tagging along dinosaurs – running away from predators, soaring through the air, and looking for food. 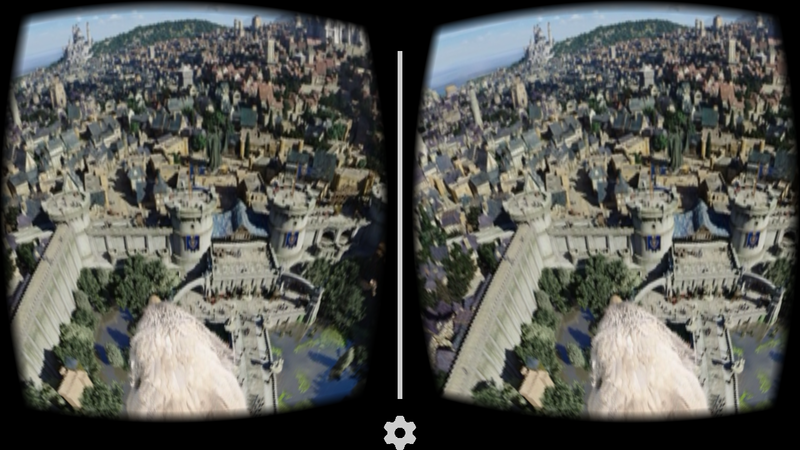 Next, there are a couple neat videos in the Legendary VR app. First, I experienced (I used the word “watched” at first, but it’s more than watching) The Skies of Azeroth. Be sure to download it rather than selecting the “YouTube 360” option. This puts you on the back of a gryphon, flying over the human city of Stormwind in Warcraft’s world of Azeroth. Moving your head moves your vision, and you can look anywhere – behind you, below you, even at the gryphon itself. 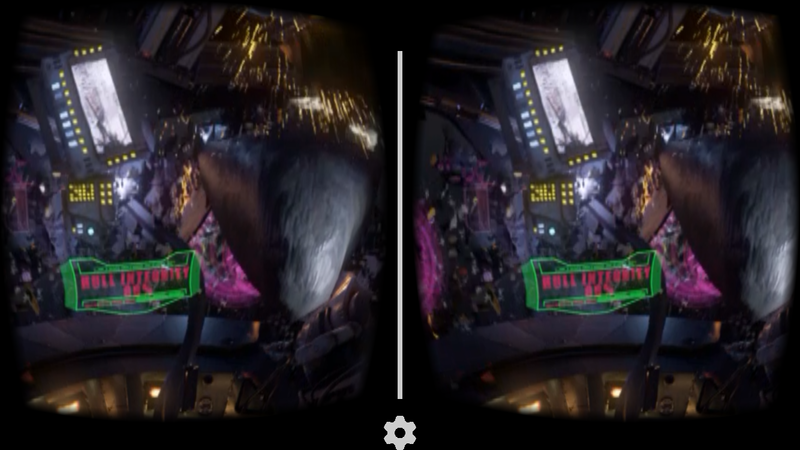 The Legendary VR app also has Pacific Rim Jaeger Pilot. As soon as it started, I couldn’t help but exclaim, well, let’s just pretend I said “fudge yeah” because I don’t want to cuss in this review. It was amazing – short but awesome. To be honest, yeah, it was mostly proof-of-concept. But please, please, give me more. If you haven’t wanted to pilot a Jaeger, Gundam, Evangelion, or some mecha suit, you must be nuts. Lastly, I’d like to mention Insidious Chapter 3. This VR experience corresponds to a film series with which I’m unfamiliar, but I can say that’s it horror. Less than thirty seconds into it I yelled “shoot” before pulling the headset off. Again, I cleaned up my language a bit. A VR headset certainly brings horror to the next level. While most of the 3D content floating on the web seems to be demonstrations, there is some really cool content. These 3D, 360 degree experiences are the exciting aspects in my opinion with regular 3D films being icing on the cake. I’m hoping that Netflix, my streaming service of choice, makes finding 3D content easier in the future. In the mean time, I’ll have to go hunting for my own 3D videos. Really, I just can’t wait to find more 360 degrees, immersive experiences. The ones I discussed above were so exciting, and I bet there are more great ones I haven’t yet found. 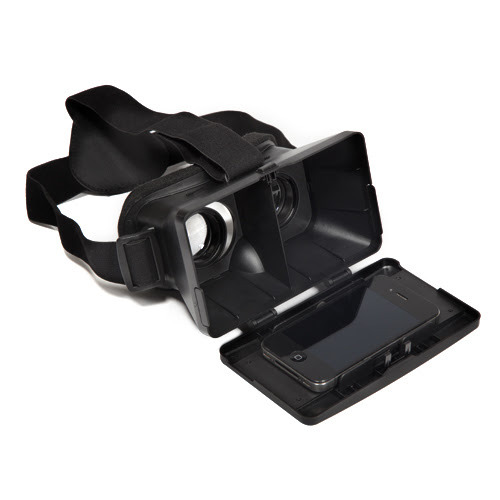 The Immerse Virtual Reality Headset is available for $39.99 from Sharper Image. This review was based on a free review sample. You can contact me at @TheUser on Twitter.